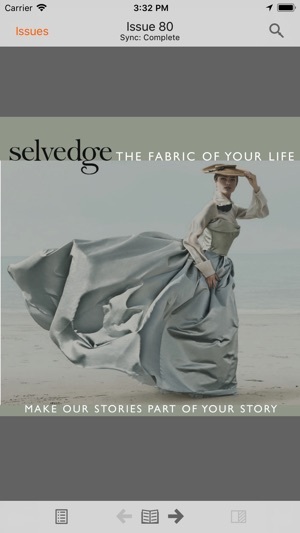 For crafters, couturiers or connoisseurs... Selvedge magazine is for everyone who loves textiles. Inspiring and informative, Selvedge is the only magazine to cover every facet of textiles – interiors, fashion, fine art, travel and shopping – in an intelligent, stylish and contemporary way. We cover textiles made with time, thought and skill in a magazine produced in exactly the same way. Published every other month, each issue offers quality writing, the world’s best textile photography and original illustration. The magazine is now available in the App Store. 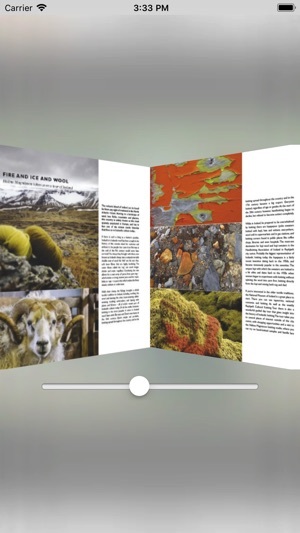 The Selvedge app is a convenient, environmentally friendly digital format that allows you to enlarge images and text or link directly to websites and advertisers. In the coming months this exciting new platform for Selvedge will evolve to include digital-only content – interviews, unpublished material, video and a behind the scenes look at each issue. The iPad/iPhone edition brings you selected pages from the latest issue as soon as it is published. You can subscribe within the application for full access, which brings you every page of the issue and a searchable archive of more than twenty back issues. Issues are not sold individually - for the duration of your subscription you have access to every issue in this archive. 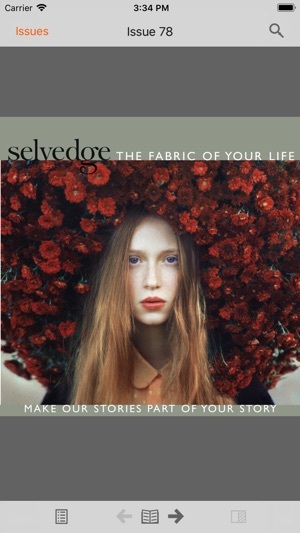 Selvedge is a high quality textile magazine. Beautiful photography, interesting articles and just what the doctor ordered for this needle worker! There are so few true art magazines for textile/craft/artists. It can be a world of cutesy overdose! This is a magazine to clear your palette and open your eyes to a gorgeous world of skill, artistry and education. Each issue covers a wide range of skills, everything from needlepoint to weaving to fashion design and everything in between. So happy I found this app! 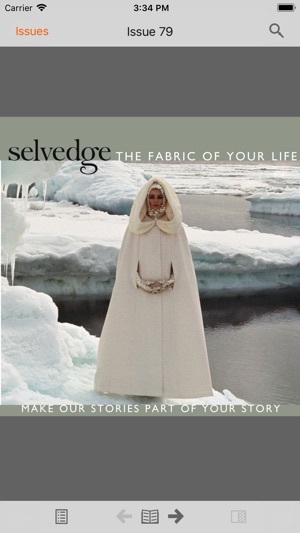 As an artist and fiber artist Selvedge Magazine has always been of interest to me. Very hard to find at book stores in my neck of the woods. But with this app I have access where ever and whenever. Fashion, Art, Knitting, Weaving, Home Decor... Just to mention a few of the subjects covered within every issue! 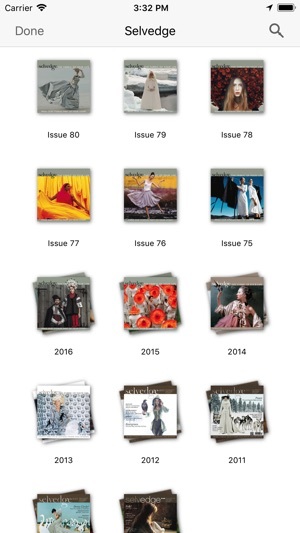 Although you can get a wonderful sampling of the current months magazine on their web site this app has so much more. You get access to all the back magazines. Incredible! The price is in British pounds so when paying in American currency it will be more $$. If you are like me and you don't like paying that much for a magazine try to think of this as a unique opportunity to access the world of Fashion, Art, Knitting, Weaving, Home Decor.......and so much more! How wonderful to have this beautiful publication available on the iPad. I had a question about how to read issues offline, and received help from Exact Editions immediately.